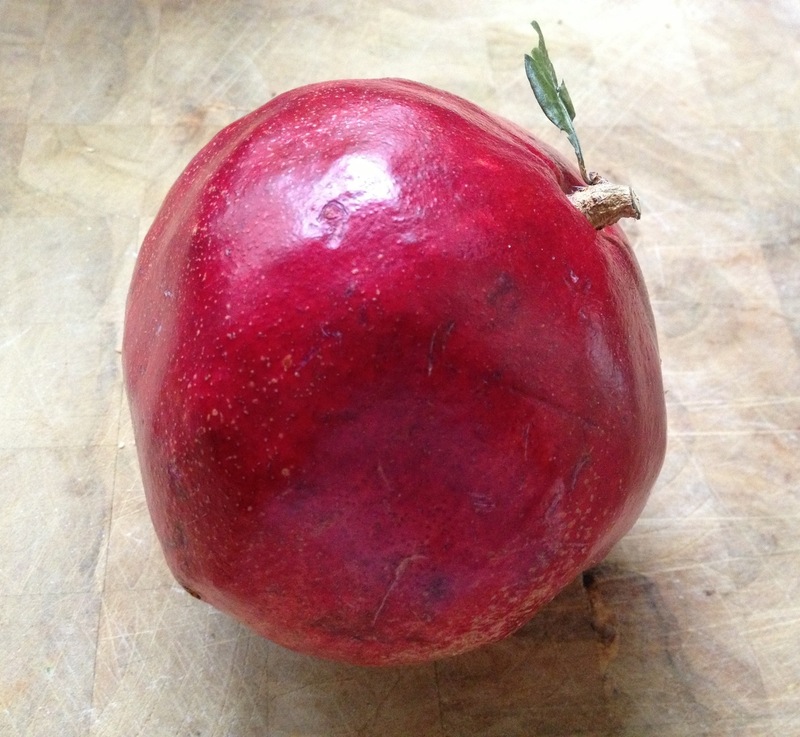 The word “Pomegranate” is Latin and means “seeded apple”. 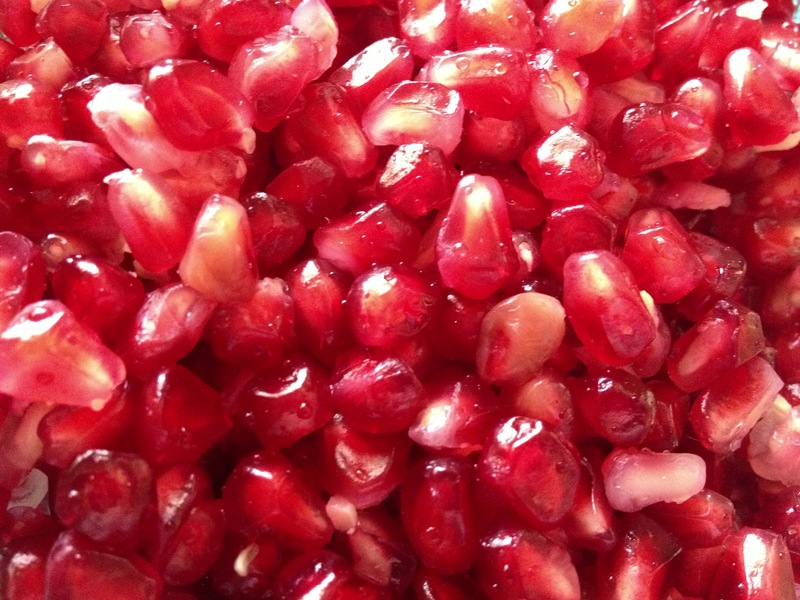 Each fruit contains about 600 seeds called arils. 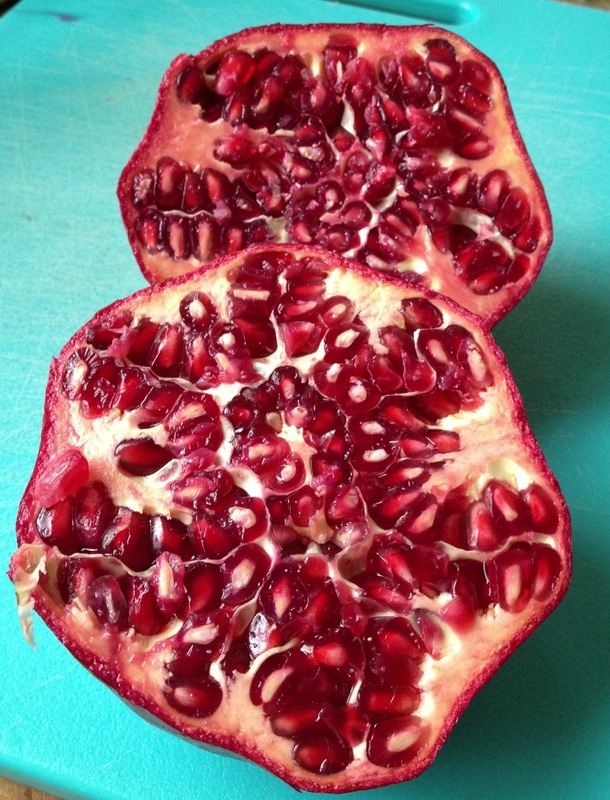 The arils are edible part of the fruit, not the white pith. 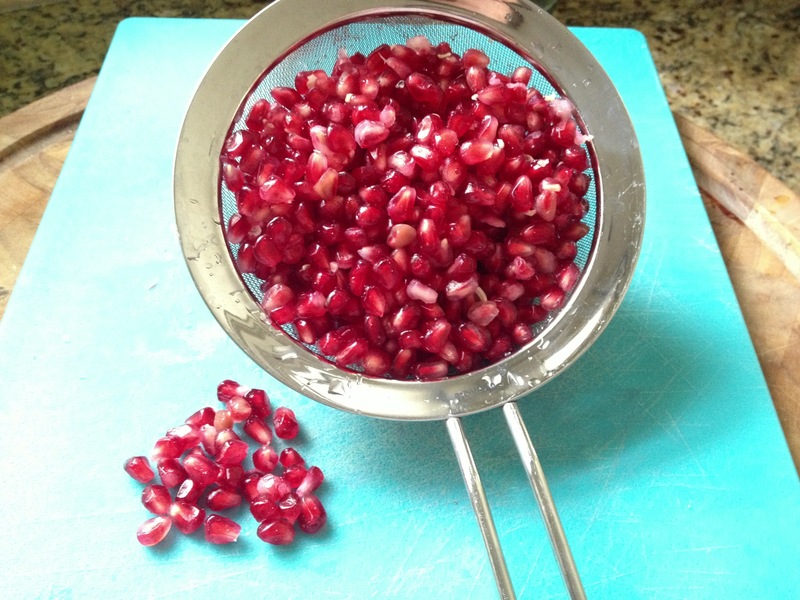 There are numerous methods to harvest the seeds. I have tried various approaches, and have found my favorite. 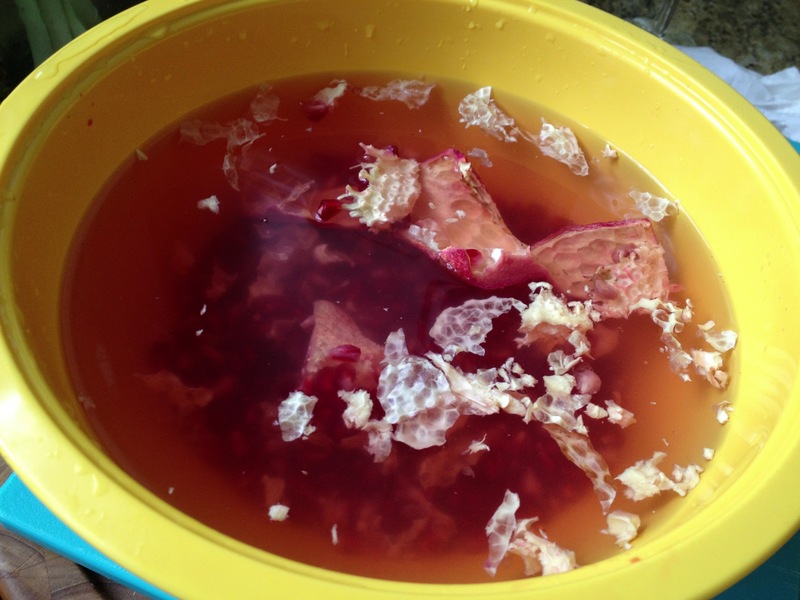 The Water Bath Method is what works best for me. And, I’m happy to share it with you! 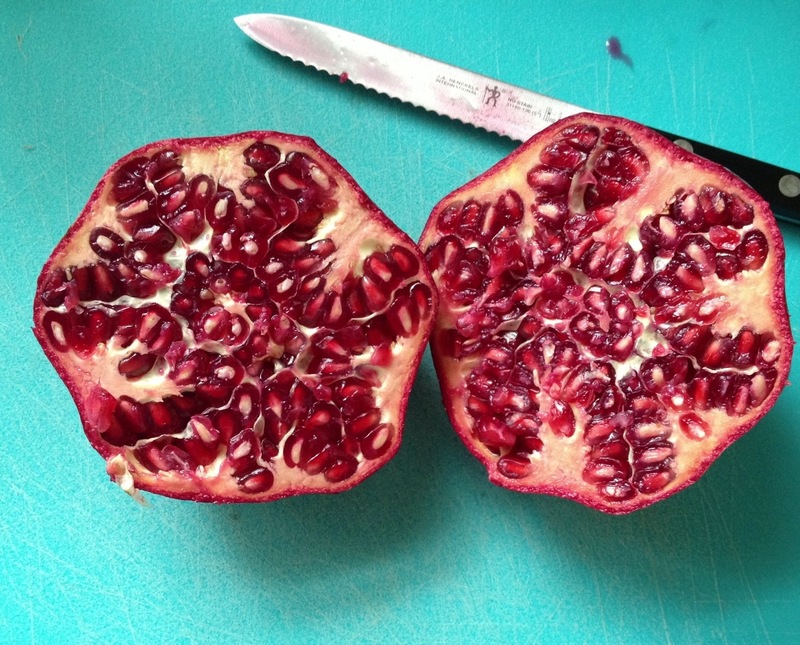 Pomegranates are messy and can stain, but if you know how to get the seeds out properly, it is well worth it! 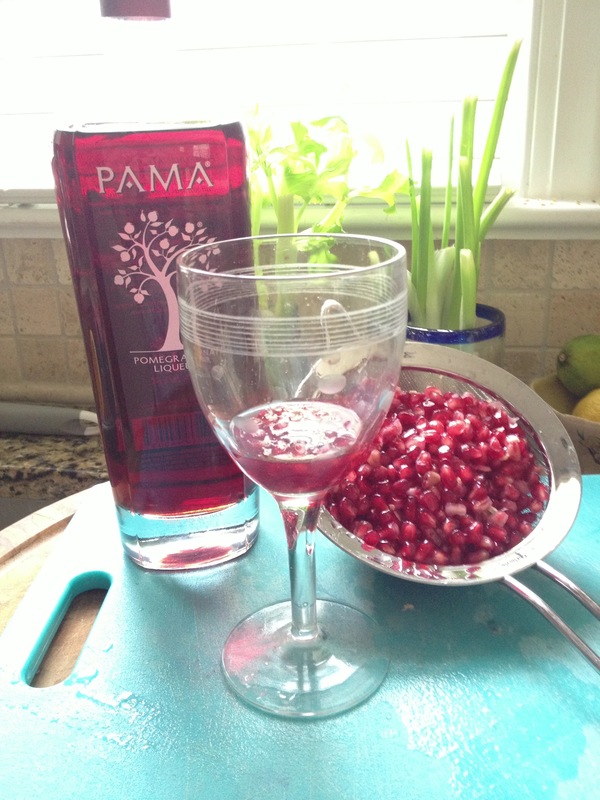 Toss them on salads, overtop meat, pasta or you can also float them in a festive drink! 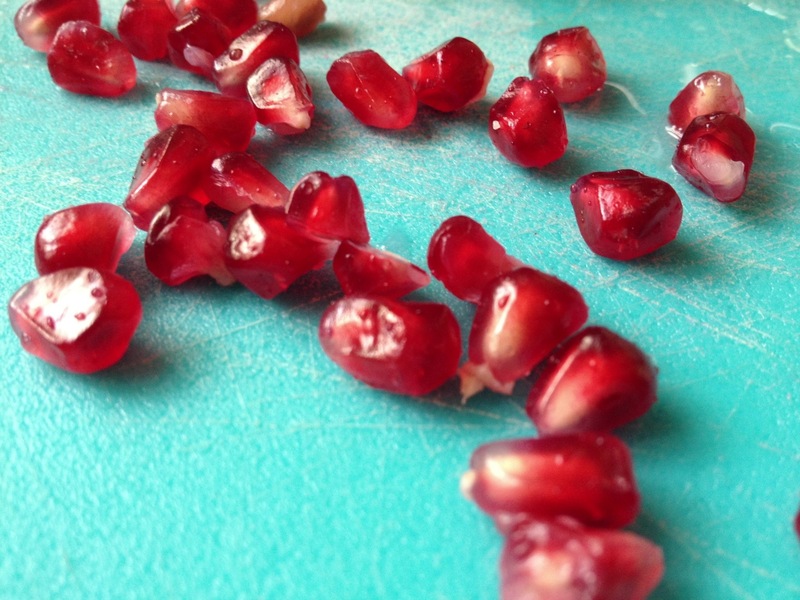 6: Don’t worry about being gentle. Some take a little more force. 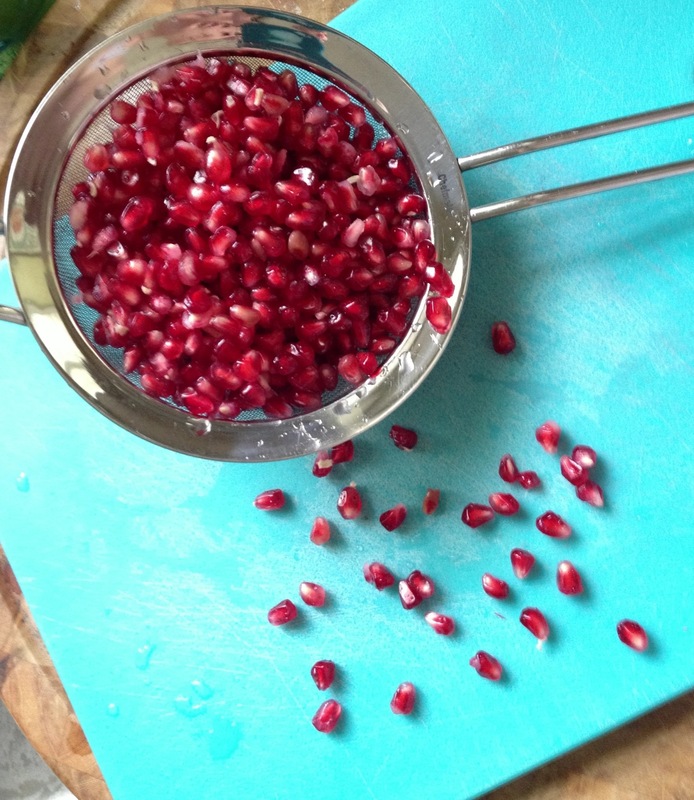 Should be clean of seeds when finished. 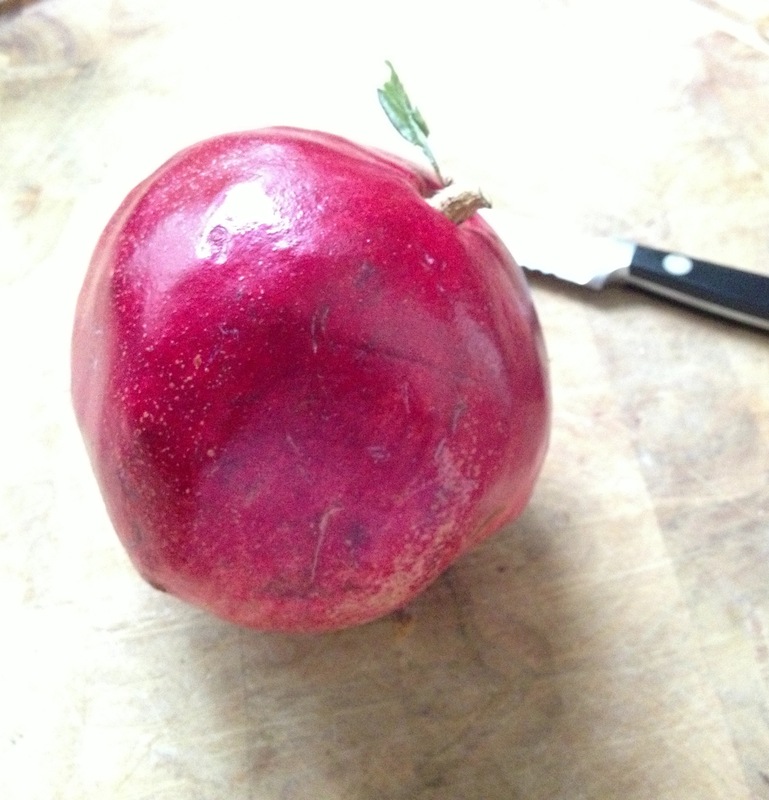 7: Repeat with other quarters. 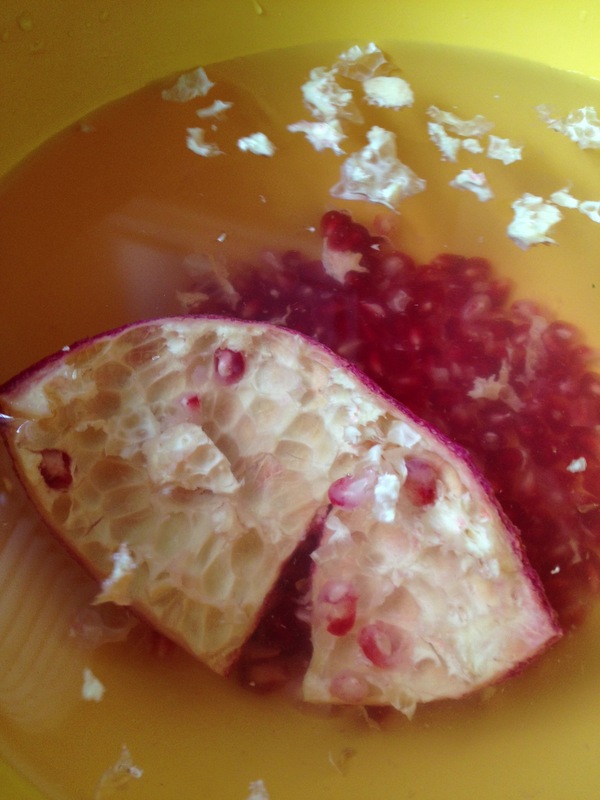 The seeds will sink to the bottom and the pith will float to the top for easy removal. 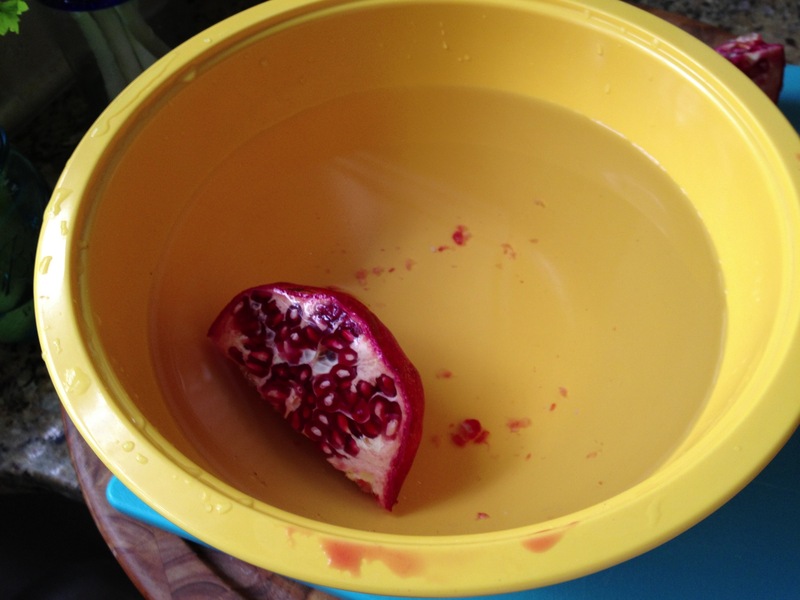 8: Scoop out the floating pith with your hands, and drain seeds into a strainer. 9; TaDa!!! 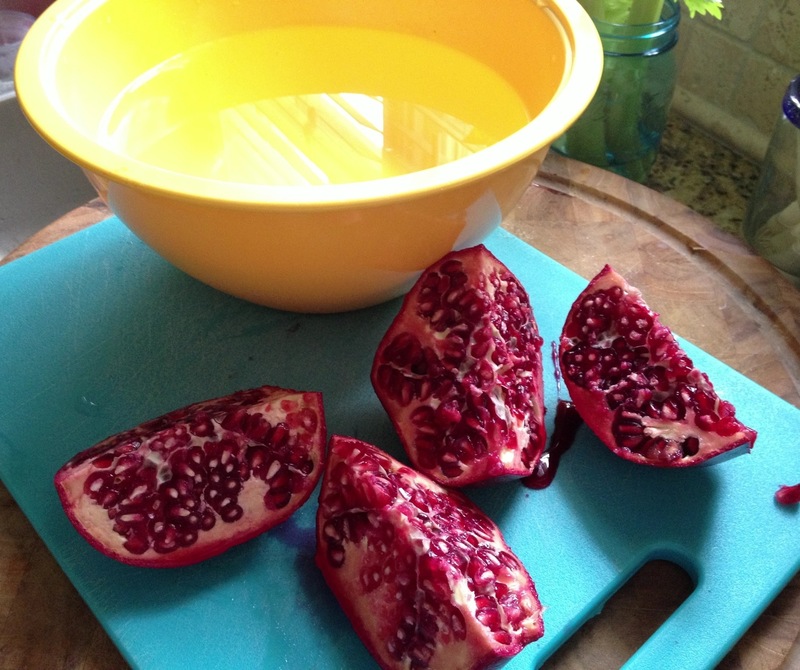 You will be surprised how many arils come out of just one single pomegranate! 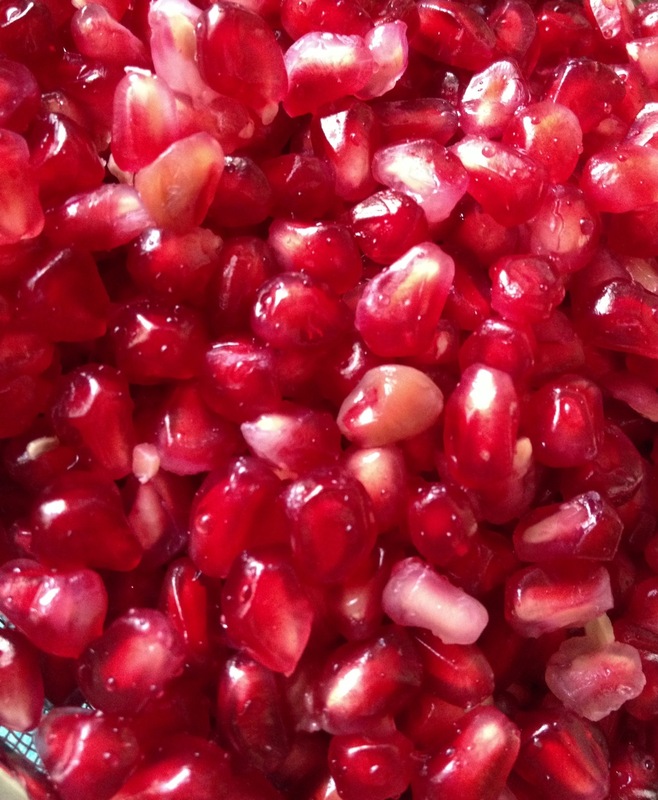 Now, take the GORGEOUS fruits of you labor, and ENJOY!!! 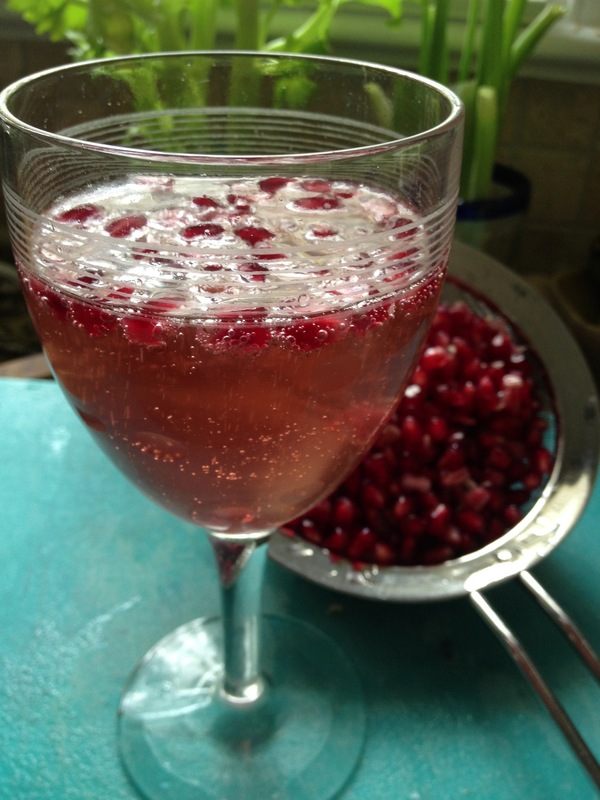 (You can also substitute Pomegranate Juice for the Liquor and Champagne or Sparkling Wine for the Prosecco).